Well there could hardly have been a more auspicious start for new captain and coach, Julian Turner and Luke Mahoney, with Fitzroy’s new number 1 kicking six goals to lead his team to a 40-point win over Old Mentonians in the opening round of Premier C.
Jules has matched this goal kicking feat on previous occasions, but the extra pressure of running out first didn’t seem to have any negative effects on this performance. 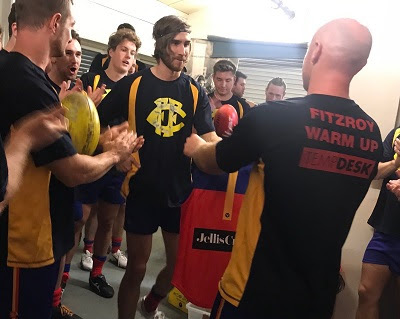 In fact he would have been buoyed by a touching jumper handover in the rooms pre-game with Rory Angiolella handing over the responsibility and the jumper in his usual purposeful and understated style. As reported by the VAFA during the week, Rory continued his high quality on-field output too. But what would have put a smile on the face of the coach was the contributions from a wide range of players from returning Toby Hudson-Bevege to first-gamer Donovan Toohey. After more than two years out of the game, it was a strong defensive effort from Hudson, which saw him take the Royal Derby voucher for best on ground, only narrowly tipping out the captain. Toohey was presented with the one percenter award and played his role very well. The win was set up with a five goal first quarter. The team’s effort in the second quarter was of some merit, given the hot conditions and the need to play one man down for 12 minutes, after Nathan Ligris received a red card for a high tackle. Ligga will be supporting the boys on the sidelines for the next two weeks after he took the prescribed penalty of two weeks suspension. The final score was 14.11.95 to 8.7.55. The Men’s Reserves side sit proudly atop the Premier C Reserve ladder after round 1’s comprehensive victory over Old Mentonians. It was all but one-way traffic as Fitzroy amassed a total of 28.29.189 to 1.0.6. In a score like that there was a wide spread of goal kickers, but Luke Edwards was outstanding with five goals and a best on ground performance, while fresh from the Under 19s, Gus Richardson kicked four and earned himself a senior call up. Congratulations to Bernie Carter on his first win as Ressies coach. Some of the changes to this week’s team, if anything, make the side look even stronger. Let’s see what we can produce as we head down the road to Mt Eliza to the Peninsula School, the scene of a challenging day last year against rivals the Pirates. In the opening game of the triple header at Ramsden St, the Uni Blues proved too strong for Fitzroy’s Under 19s, winning 14.18.102 to 5.10.40. 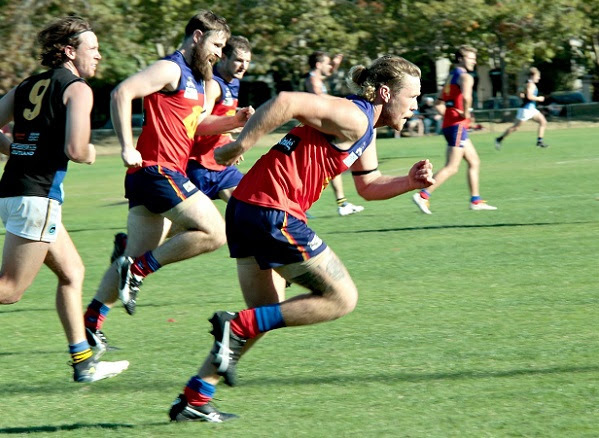 The Thirds were the only Fitzroy team to play away on the weekend and went down to De La Salle by 31 points. This week they are at home against Ajax. And, if you want to see some great shots from all of the weekend’s activities at BSO, check out Phyllis’s gallery. 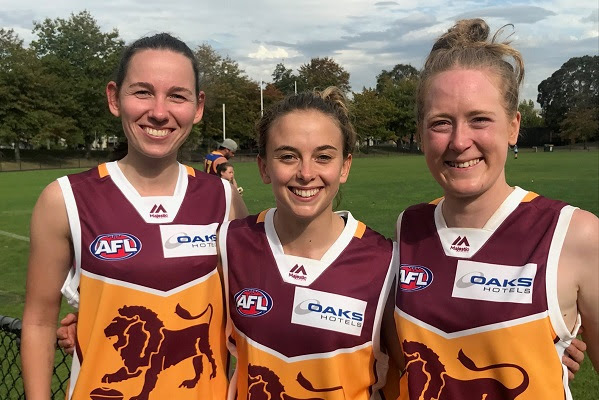 Fitzroy-ACU first gamer Lucy Kerr with 19 possessions had an impressive debut and the figures to prove it with the launch of the VAFA’s new app on Saturday. Erin Gogerly also put in another of her consistently strong performances. But it was definitely not the best day for the Roy Girls on field as they came up against two very strong Mugars outfits and now have a clear idea of the standard for the top level in 2018. 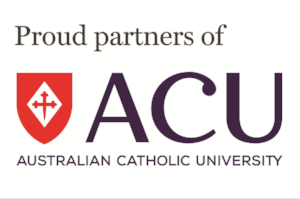 In the Women’s Premier game, Melbourne Uni defeated Fitzroy-ACU 12.9.81 to 3.3.21. Earlier in Premier Reserves, the Mugars really flexed their muscles scoring 20.13.134 as Fitzroy-ACU remained scoreless. The Senior team did have the benefit of some immediate analysis and feedback with Mick Symonds’ online interview, all part of the brand new VAFA Live Official App from Google Play or the App Store, which was released the night before the season. The App is initially covering the Premier Women’s and Men’s grades, with stats for every player. You can see Mick’s interview about 3min 50 in. 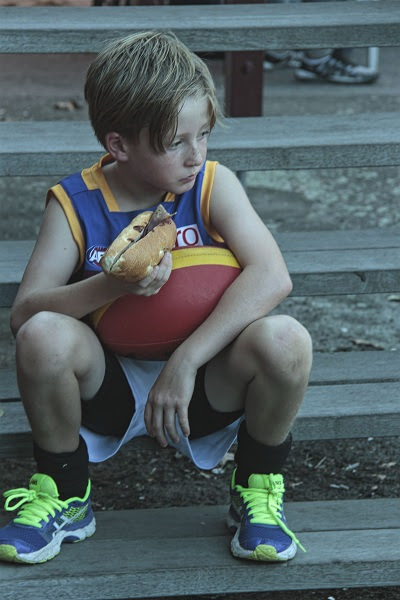 The VAFA also has a new Podcast for those who just cannot get enough of the ammos. You can find it here. This weekend’s game sees Hannah Coffey, one of the club’s original Roy Girls, the second only female player to reach the 50-game milestone for Fitzroy. 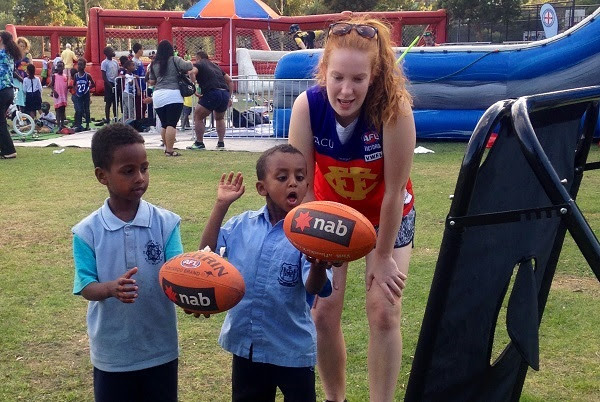 Hannah is not just a great contributor on field but also the first to put her hand up for other community activities like the City of Yarra’s Block Party (she’s pictured helping some young locals with their handball technique). Congratulations Hannah and good luck in the game against Kew. The Senior Women have the early game on Saturday, starting at 9.20am. Fitzroy-ACU has named Sarah King from Collingwood's VFLW side in tomorrow's team along with another first-gamer Shannon Alexander. everal of our players continue to press their cases for VFLW selection with Alexa Madden playing for Essendon this weekend and Hannah Fosbrooke named for a Williamstown practice match. And best of luck for a speedy recovery to Camille Augustin who had a nasty shoulder dislocation late in the game against the Muggars last week. Thanks to everyone who looked after Camille on the day. Bookings will close on Wednesday 18 April, so don't miss this one! 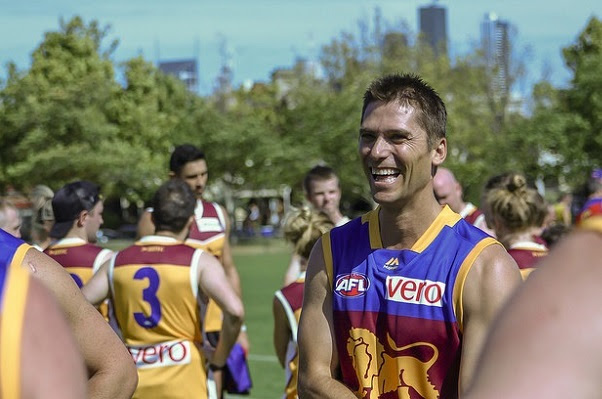 The sight of Fitzroy and Brisbane Lions’ colours as far as the eye could see in North Fitzroy on Sunday, was something to behold. 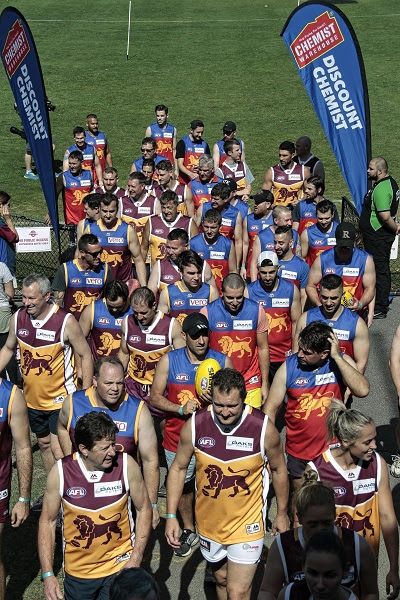 People turned out in big numbers to check out the first Brunswick Street Bash, featuring Brisbane Lions and Fitzroy champions of yesteryear in an ALF 9s tournament, alongside current players Kaitlyn Ashmore and our very own Roy Boys and Girls. And they had a ball. On field and off there was plenty happening. In the final, Simon Black’s team (including reigning Fitzroy B&F winner Max Ellis) were the victors over a Kaitlyn Ashmore-led team which featured our own star trio of Gemma Minuz, Erin Gogerly and Jess ‘Lenny’ Hayes. Off field, Aker made friends, like he always does, and the interviews featured the likes of Black, Clark Keating, Chris Johnson, Martin Pike, Darren ‘Doc’ Wheildon. But the biggest drawcard was the legendary Kevin ‘Bulldog’ Murray who seemed to have time to say hello and sign and autograph for everyone. 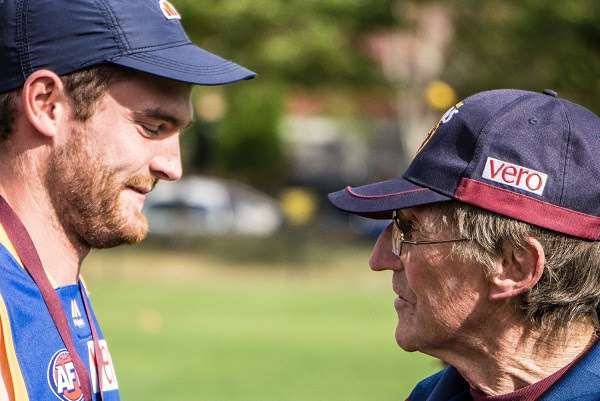 The over 300 game, Brownlow winning Fitzroy superstar retains his love of the people and the game and it was lovely to see him well enough to attend. A huge thanks to the Lions for the concept and the organisation; a great initiative. There is a Flickr photo gallery up with some of the main snaps from the day. 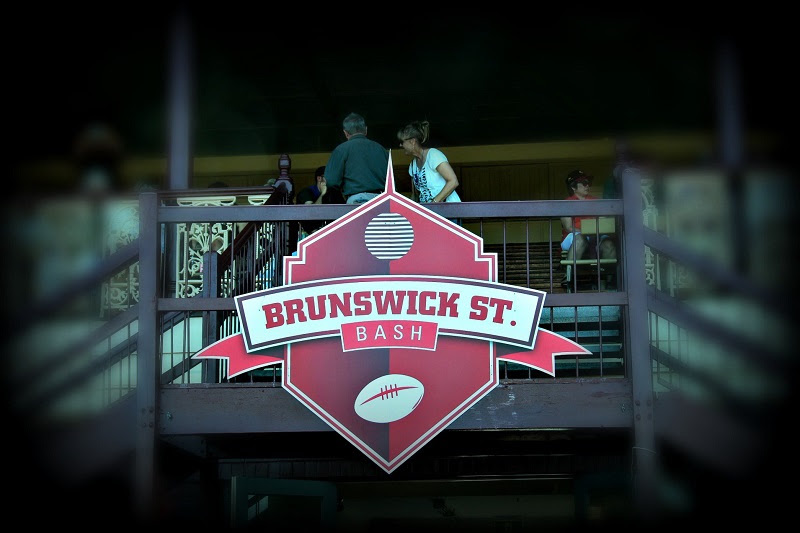 There were no rolls, buns, burgers or snags in shops for miles around North Fitzroy and the Brunswick Street Oval on Sunday, as Kerry Winchester and her band of volunteers fed the masses that arrived early for a look the stars of yesteryear at the Brunswick Street Bash. The club owes a huge thanks to Kerry, Mietta Angiolella, David Barnes and his daughter Holly, Gabby Murphy, Mike Ellis and the other who pitched in to keep the home fires burning and the food coming. Wendy Symonds was also swamped with requests for Fitzroy merchandise. 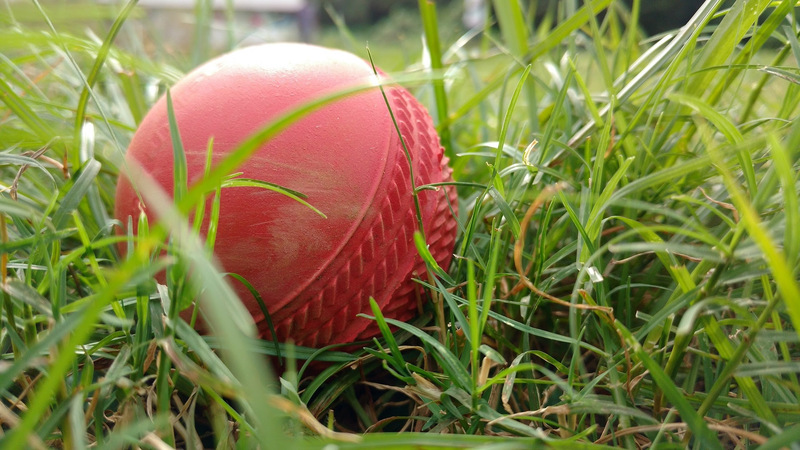 Between the first home game and the ‘Bash’, it was a very big weekend for our volunteers. 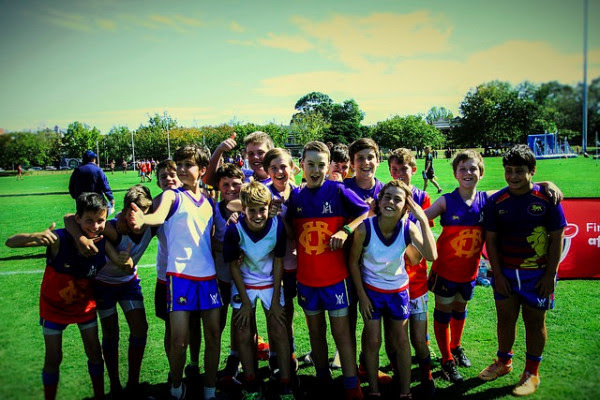 Thanks also to Brisbane Lion’s Victorian Manager, Sam Lord, and the Brisbane Lions for a fun day which was also beneficial to the club’s bottom line. 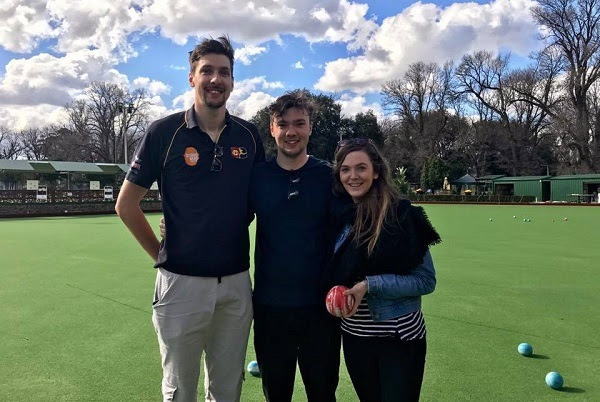 It wasn’t just the on field action that was off to a fine start at Brunswick Street on Saturday but off-field, the first pre-game lunch of the year saw a gathering of the Mahoney clan to support Luke in his first game at the club. 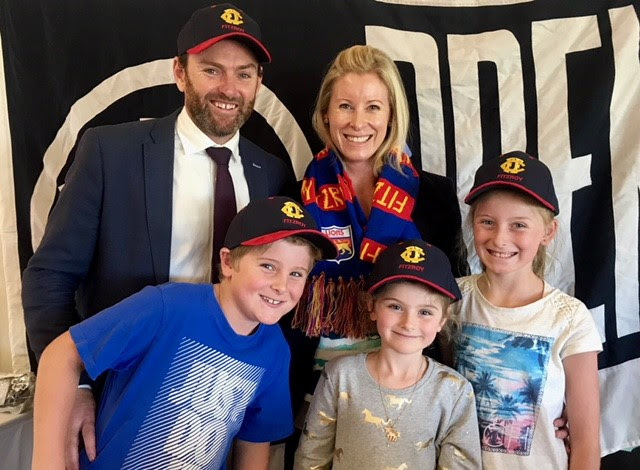 Luke, Jodie and their children, Max, Lucy and Audrey, were all presented with their Fitzroy gear just to make sure they were showing their colours for the season. Luke and Jodie’s parents also came along to the lunch where Luke shared his first thoughts about Fitzroy and the playing group in a wide-ranging interview with Club Vice President Michael Smale. Can you knock of Gaitor and co, the 2017 Inaugural victors, and take home the trophy? Or are you in it for the fun? Either way it’s a nice way to spend a lazy Sunday. 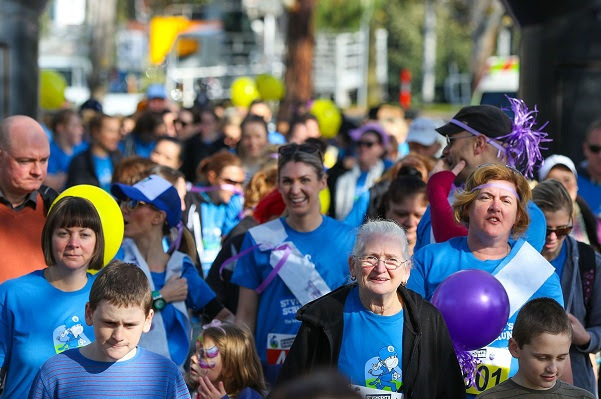 This Sunday is the big day for St Vincent’s Hospital Fun Run, with the Fitzroy team now hitting its strides. There have been some excellent late inclusions with Women’s Senior coach Mick Symons and several of the Fitzroy-ACU players registering. We are currently 5th on the ‘Fitzroy community’ ladder for donations towards the walk and about half way towards our target of $3000. The question is can we go higher? I’m sure you know plenty of people who have been helped by the services of St Vincent’s – including several very involved with this club – so consider whether you might be able to make a small donation to help the staff at this mighty Melbourne institution, which is celebrating 125 years this year.